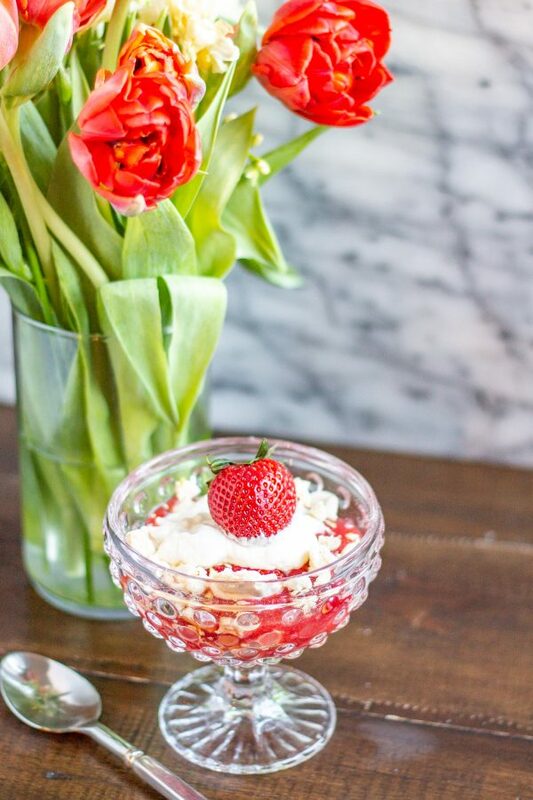 Eton Mess is a traditional British dessert made with crumbled up meringues, whipped cream, strawberry sauce, and fresh strawberries. 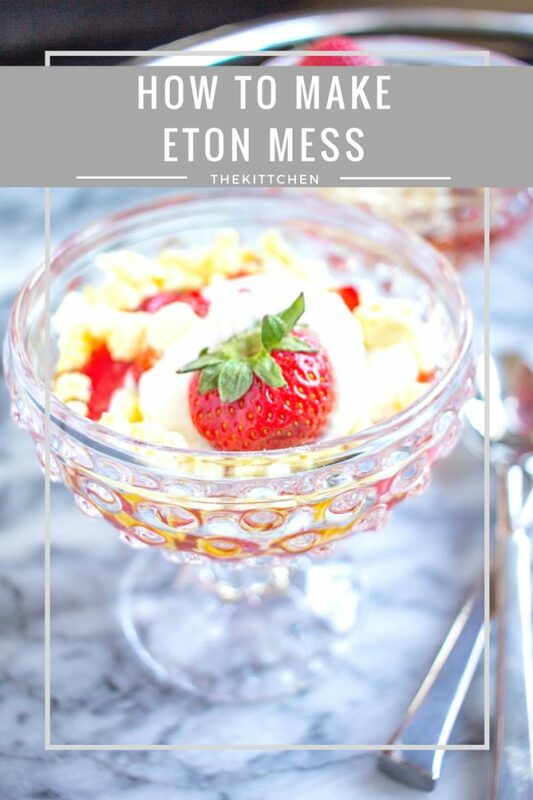 Eton Mess is a perfect light dessert to serve during the summer. 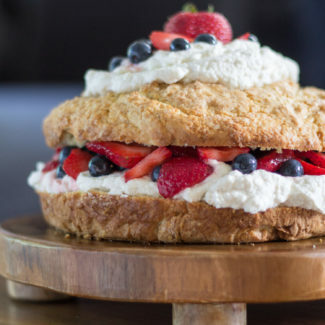 It comes together so easily, it tastes light as air, and you don’t need to turn your oven on if you use store-bought meringues. I am not the biggest fan of meringues, but I love them in an Eton Mess. They absorb some of the liquid from the strawberry sauce and the whipped cream and they become more cake-like. You can love this dessert even if you don’t love meringues. I promise. 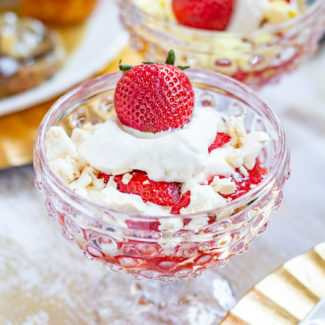 Eton Mess originated at Eton, the posh private school where Prince William and Prince Harry went. It is believed that the dessert was created to serve at an annual cricket match in 1893. 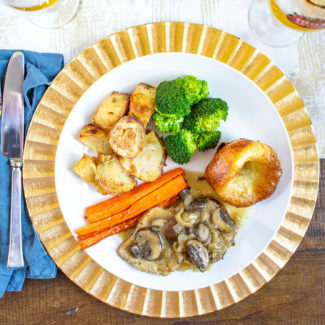 The word “mess” refers to the loose assembly of the dessert. I love the no-fuss presentation of the dessert. A traditional Eton Mess recipe is prepared with fresh strawberries, and I didn’t want to mess with tradition so I also used strawberries. 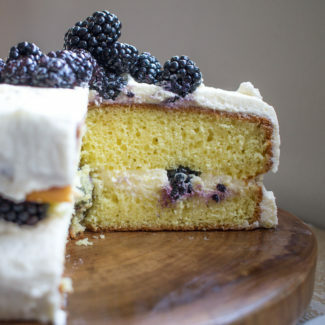 You could use raspberries or blackberries instead. I created my own strawberry sauce recipe based on my strawberry pie recipe. I combined mashed fresh strawberries, water, sugar, and corn starch to create a thick sauce that tastes like juicy strawberries. 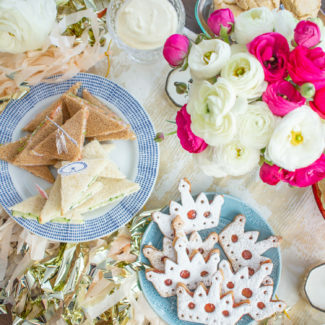 You can make the meringues yourself, or you can use store-bought meringues. I live near a French bakery and I was able to buy a big bag of chocolate, vanilla, and lemon meringues. 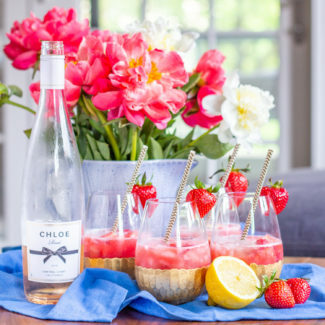 It was such a timesaver, and the three different flavors each paired so well with the strawberries. 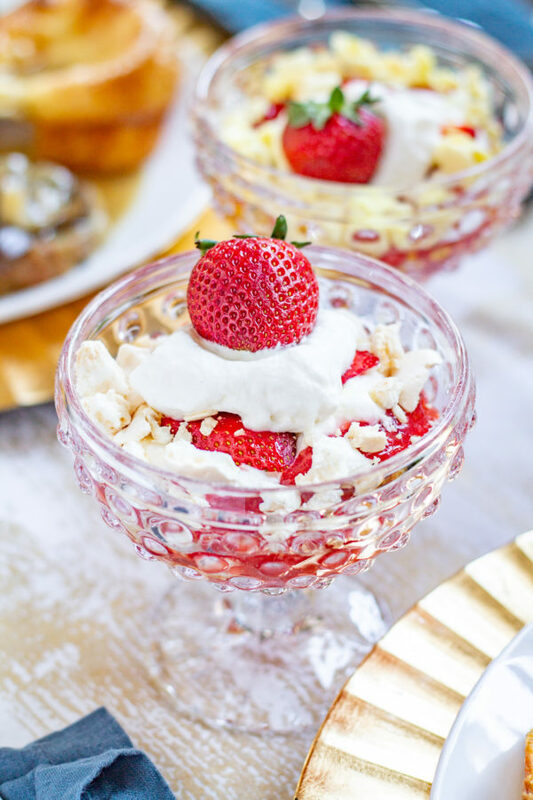 I served Eton Mess as a dessert when we had friends over for a traditional British Sunday Roast. It just seemed fitting to serve a British dessert! I placed all of the ingredients in the center of the table and then everyone got to make their own dessert. Plus, since we had three different flavors of meringues, everyone got to pick their favorite or come up with a fun flavor combination. I recommend against assembling the eton mess ahead of time, the meringues would get too soggy. It is better to assemble just before serving. Take half of the strawberries, hull them, and place them in a food processor and pulse them until they have been pureed. Pour the pureed strawberries into a saucepan, heat over medium heat and add the water, granulated sugar, and corn starch. Bring to a slow boil and let boil for 1 minute while the mixture thickens. Pour into a bowl and let the sauce chill for at least 30 minutes. Meanwhile, prepare the whipped cream. Pour the whipping cream, powdered sugar, and vanilla into the bowl of an electric mixer. Beat on a medium speed until soft peaks form. 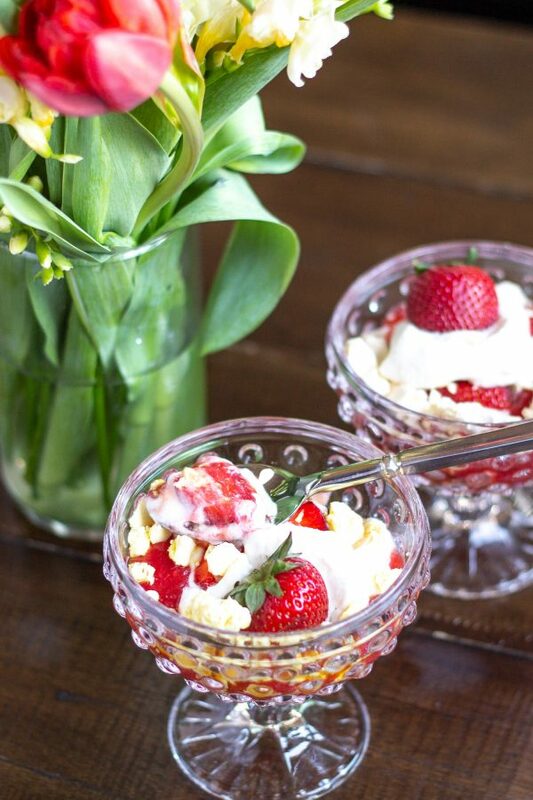 Store the whipped cream in the fridge until you are ready to serve the eton mess. 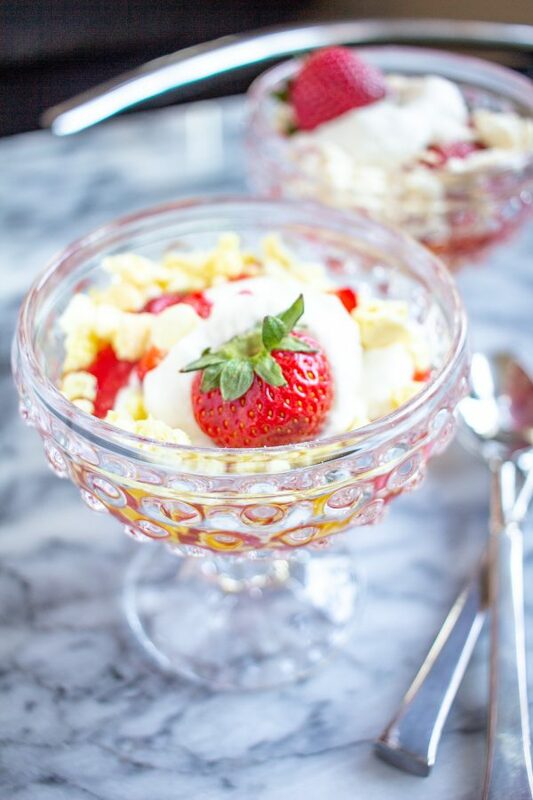 To assemble each Eton Mess, crumble 2 meringues and place in the bottom of a bowl. Add spoonfuls of strawberry sauce, whipped cream, and fresh strawberries on top. Crumble another merengue on top, and add additional layers of strawberry sauce, fresh strawberries, and whipped cream. 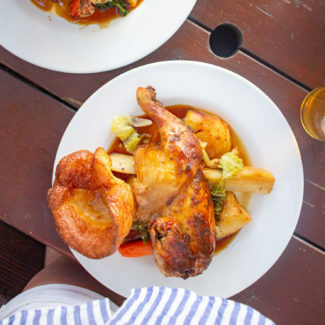 Serve right away.